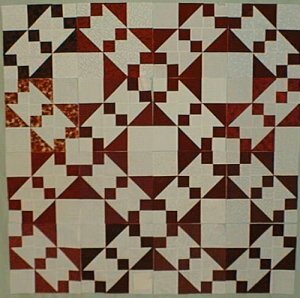 Then just piece the block, using the units we just made. 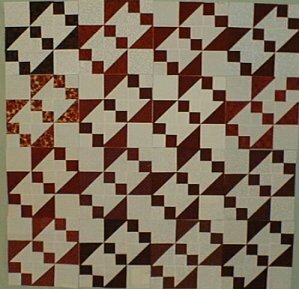 Sew three rows of three units each, as shown at left, and then sew together the rows! 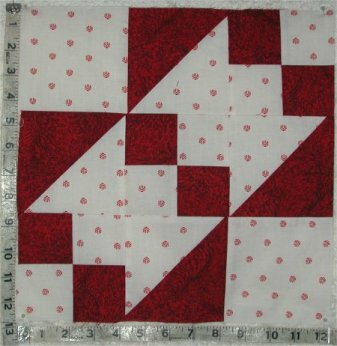 Alternate pressing directions by row to keep seams nice and flat! 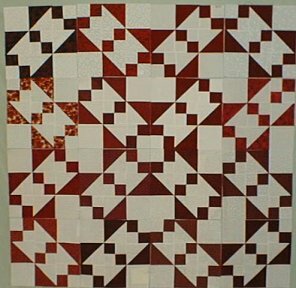 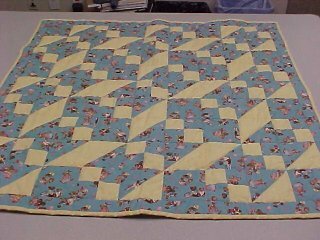 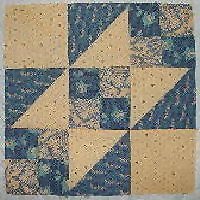 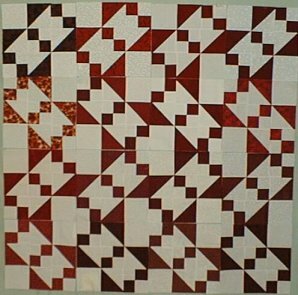 The quilt is four blocks by five, with a narrow Color 1 border , then a pieced checkerboard border, and another narrow Color 1 border! 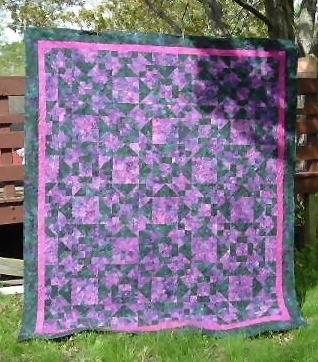 Happy Quilting 'til Next Time! 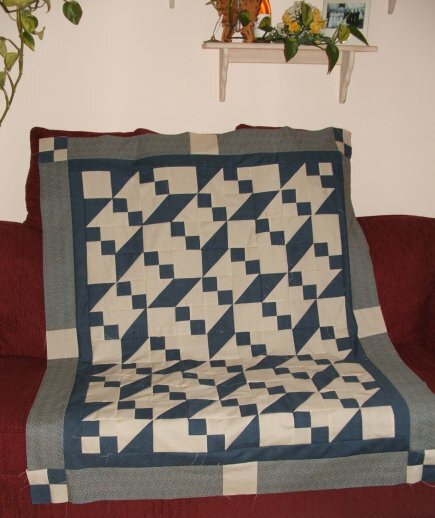 Here's one that Shelley made!